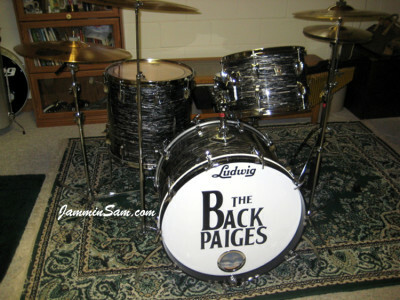 Picture sent in (November 2011) by Rick Flessner from Roberts, Illinois of his Ludwig drum set.Great job Rick! 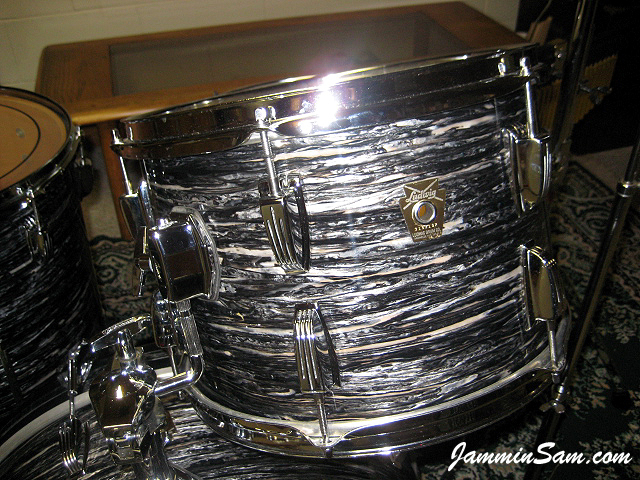 Sam, Here are some pictures of an 80’s Ludwig kit I recovered in 2010 using your 60’s Black Oyster Pearl. 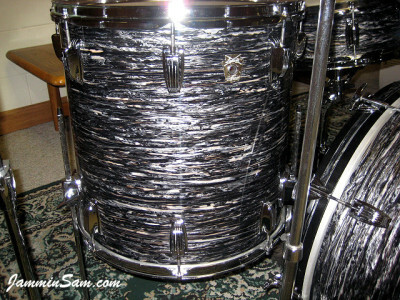 I just ordered (more of) the same material to recover a 1966 set of Ludwigs. Looking forward to recieving the material. Drums are all prepped and ready to re-cover.